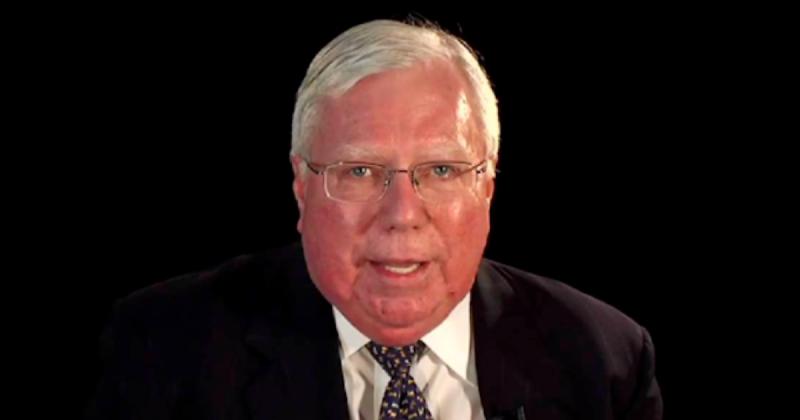 As soon as news began to find its way to the airwaves over the past few days that Jerome Corsi was accepting a plea bargain from Robert Mueller, I wondered how in the world he got himself into such a fix. Corsi, a much-respected investigative journalist who many believe to be more conspiracy theorist than journalist, has close ties to former Trump insider Roger Stone, which, no doubt, was why Mueller was interested in squeezing interviewing Corsi. One would have to be legally blind to not see the corruption and conniving within Robert Mueller’s crusade to pin anything he can on anyone he can to get any dirt, even barefaced lies, on President Trump. Mueller, no doubt, believes Corsi must have a few juicy Trump stories, given he is tied closely to Roger Stone, once an insider in the Trump camp. In an interview with NBC News Senior Producer Anna Schecter, Corsi insisted that he has accepted no Mueller plea deal and has no intention of accepting one. In an interview with OAN, Corsi declared, “I never met Assange, I’ve never spoken to him, I’ve never seen him, had zero contact with him. And I had no intermediary who was in contact with him. What the special counselor couldn’t figure out was in August (2016) I knew that the emails remaining that Julian Assange had were Podesta’s emails, and I basically figured it out, which is what I do, I connect the dots. I didn’t need any source to tell me. The American people have got to understand we have a criminal Department of Justice, and they are taking citizens…. I’ve never committed a crime in my life. I’m 72 years old. They want to bankrupt my family. ‘Is Daddy going to prison?’ My wife is crying every day. It may seem far-fetched, but this is how easy it would be for Mueller to pin a perjury charge on Jerome Corsi or any other innocent person…. Mueller: You understand you are under oath? Mueller: On such-and-such a date three years ago, you met Roger Stone at a local diner for breakfast. Do you remember that? Corsi: Yes, I do. It has been a long time, but I do remember that meeting. Mueller: What did you order for breakfast? Corsi: I’m sure it was bacon and eggs. That’s what I always order. Mueller: How were your eggs cooked? Corsi: Over easy, as usual. Mueller: Just bacon and eggs? What else? Corsi: Wheat toast and coffee. Mueller: No further questions, your honor. The next thing you know, Corsi is being offered a plea deal because he didn’t remember that the diner was out of wheat toast and he had white toast instead, and Mueller has the receipt from the diner. Perjury!